Most of us are struggling with planning our work; offices, factories and on site contractors use tools such as MS Project to figure out tasks, milestones, critical path, etc. For the needs of the construction industry Scia has developed a new application “Scia Master Scheduler” that links visually the digital construction model with the planning process. This opens a new world to improve the allocation of resources, be it manpower, materials or machinery. Construction is a combined action of many teams, designers, detailers, contractors, prefabricators and other suppliers. Visualizing the progress at different planning levels for simultaneous projects gives the management an overview which enables them to anticipate future actions. In the Master Scheduler, managers can change the resource assignment, resulting in automatically adapted schedules. 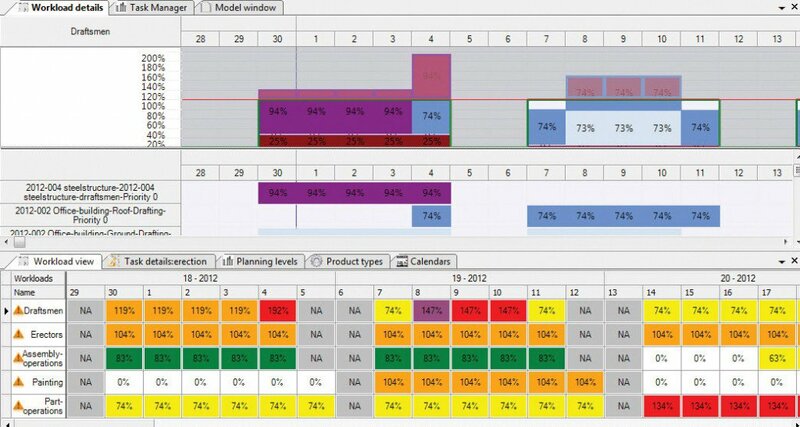 Through simulations the best possible planning is continuously worked out, keeping both progress and status visible. The Master Scheduler is developed by the Fabrication solutions business division, and is reinforcing the position of Scia in the future BIM world, adding planning to the virtual model.